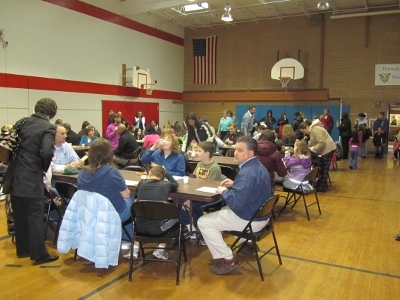 In January each year, we see a lot of smiles as children eat breakfast with their families and classmates’ families. 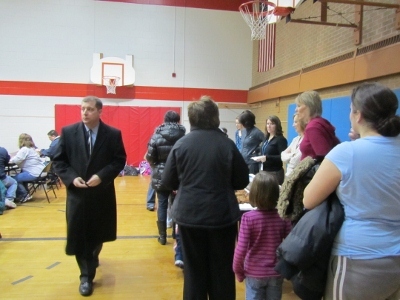 The event is held in the gymnasium, and takes place just before school starts each day. The Hiawatha staff serve a yummy assortment of donuts and muffins, as well as drinks which are donated by families. The children hand their families a special ‘Certificate of Appreciation’ that morning. The looks on the parents’ faces as they read them…priceless.